Notes: Kelly Galloup is widely known and recognized for his creative, innovative patterns. The Zoo Cougar is interesting because of its dual personality. 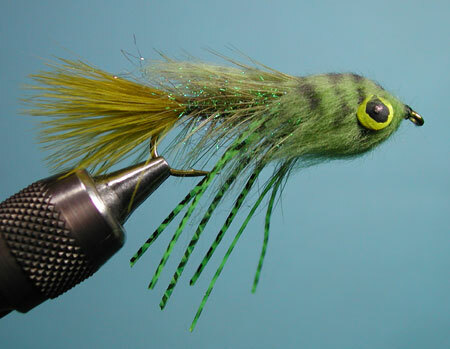 It is designed as a floating fly, but Kelly fishes it beneath the surface with a sinking line. Here is what he has to say: The Zoo Cougar has without a doubt been the most productive fly for really big trout I have ever fished. 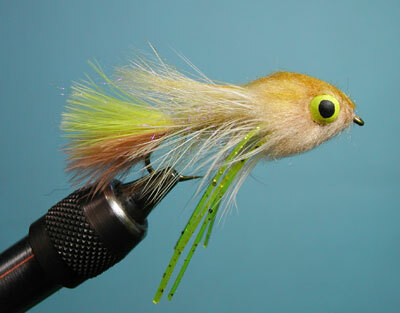 This fly was the first of the floating fly concept and has still been the best of the bunch. A floating fly is a fly designed to be pulled under by the sinking line, as opposed to weighting the fly. 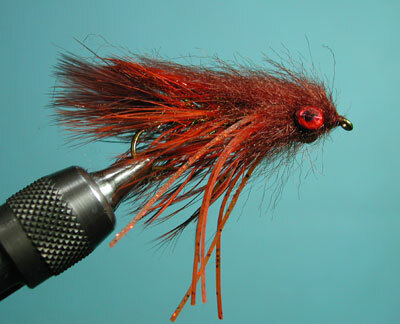 This allows the fly to be kicked and pushed by the currents when it's not being stripped, giving the fly a very real and erratic movement. As Kelly makes clear in his book on fishing streamers for trophy trout, the actual tie is really only half the game  the other half is learning how to fish it effectively, as the issue of casting and retrieving technique is just as important as the fly itself. Because the fly is unweighted, Kelly advocates fishing it on a sinking line with a short leader. The fact that the fly is unweighted (among other things) means that it flutters and ungulates as it stripped through the water in a more natural way  more in motion  than it would if it were a heavy fly tied with a lead tape or lead-wrapped body. By casting the fly right to where fish are likely to be holding, and then stripping it fast like a bait fish that wants to get the hell outta there, is key to getting larger predators to chase and hit it. Kelly rightly notes again and again the importance of understanding that large fish are predatory meat eaters, and that, as alpha fish, are tuned-in to opportunities to kill and eat wounded and confused baitfish. There is a very good video in The Weekly Fly , Kelly teaches how to tie and fish this effective fly for catching large trout. It is worth a look. Once you master the intricacies of the Zoo Cougar, check out the articulated version  a real monster in the water that also has the potential to catch monster trout  Kelly calls it the  Heifer Groomer . It is an absolute beast. Watch your backcast! Tie the rear hook first, then the front hook. The hooks are connected by a braid, mono, or old fly line with 3 glass beads filling the space. Secure this connection against the shank with thread wraps.